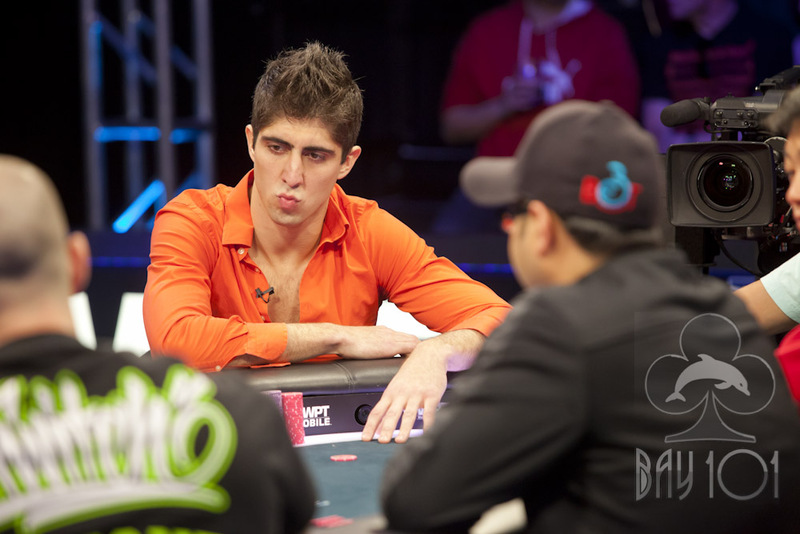 Joe Elpaya was all in preflop with [6d][6c] against the [Qs][Qd] of Erik Cajelais. Joe hit the card he needed on the flop when it fell [9d][6h][5c], and Erik failed to hit his bigger set when the turn and river came [Ad][7h]. Joe will double up to just over 1,250,000.